The appearance of your office can determine how productive you are. If you’re working in a dull workspace with not much décor, then it’s not going to be enjoyable to work in. 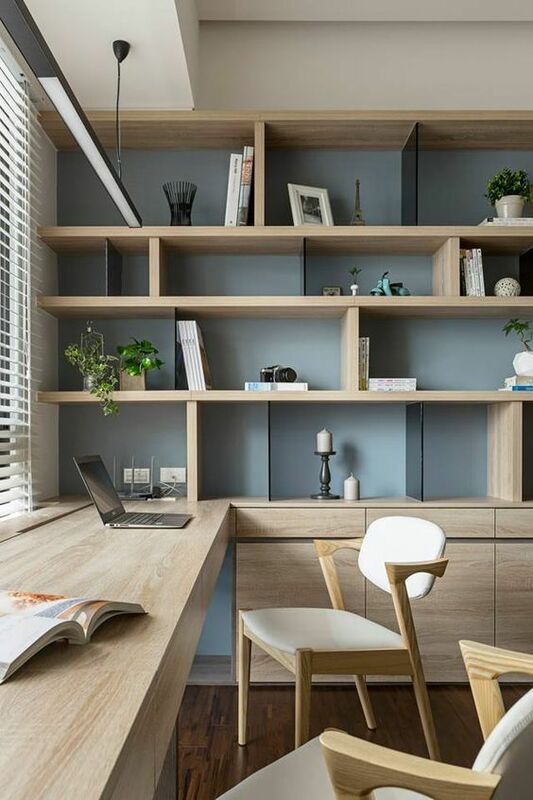 For anyone who works in an office, it’s more than likely you’ll be there for a large portion of your day; therefore it’s important to make your office is somewhere you can work comfortably in and enjoy your working day. The foundation of any good office is the furniture within it. To begin with, it’s important to purchase high quality furniture from companies like Furniture At Work and then from here, you can start to plan your décor and other accessories. If you’re thinking about creating an office, then I’ve put together a quick guide on how I’d like to design my own place of work. In the corner of my office I have a small leather ottoman, which I use as extra seating. I chose to opt for a brown, leather ottoman which oozes style and sophistication. I used blackboard paint to paint one of the walls in my home office, so that I’d be able to use my wall as as a DIY blackboard. I often use my new blackboard wall to brainstorm new business ideas and to write down to-do lists for each day. To add a bit of style to my office, I purchased a modern, brass lamp which is now sitting on my work desk. I find my lamp especially useful when I work late nights and need a bit of extra light to work comfortably, without having to squint. In order to cover my office’s wooden floorboards, I have placed a large Turkish rug in the middle of my office. This rug holds a special significance to me as I brought it whilst on a trip around Europe and visited a traditional Turkish bazaar in Istanbul. 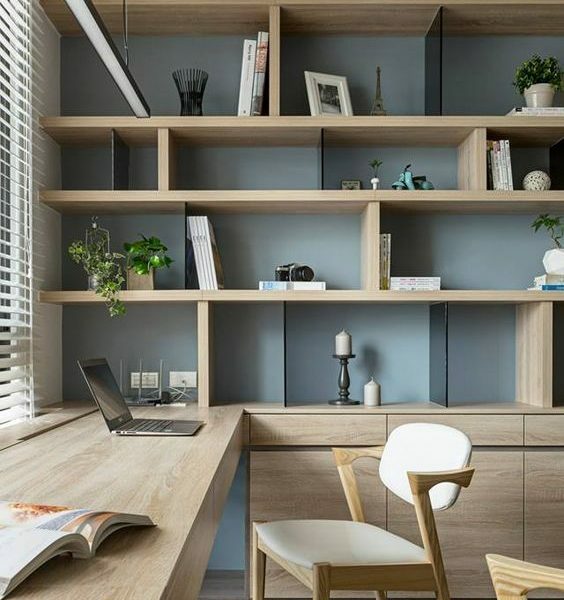 If you’re looking to design a unique office, that will remind you of some of your world wide adventures, it’s well worth decorating your office with unique eye-catching items which you’ve picked up around the world! On my of the side tables which I have placed alongside a wall in my office, I have placed an antique decorative globe, which I inherited from my grandparents. As I have a passion for travel, I thought it would be appropriate to decorate my office with a decorative globe! If you’re looking enough to have inherited some antique heirlooms from your parents or grand parents, it’s well worth using them to decorate your office. Instead of having a traditional photo frame on my family on my desk, I have a sleek digital frame on my work desk. One of the advantages of having a digital photo frame is that I’m able to frequently swap out the photos which I display on a regular basis. As an example after I take an overseas trip with my friends or family, I’ll upload new vacation photos to my digital photo frame. In order to make my office look a little larger, I’ve hung a large, rectangle frameless mirror on one of my office’s walls. Another antique which I have displayed in my office is a grandfather clock, which I brought from a local antique store. If you love classic style but don’t own any antique decorative items, it’s well worth browsing your local antique stores for treasures. If you’re lucky you may even be able to pick up an antique writing desk to display in your home office or decorative items such as vases and picture frames. Hopefully, you’re now inspired to give your own office a makeover and to put decorative items that have a special significance to you on display. To read more on topics like this, check out the home & garden category.